Captain Jack grew up prowling the waters of the Lower Laguna Madre, from the Land Cut to South Padre Island. His passion for fishing has led him across the Southern U.S., Mexico, the Caribbean, and suspiciously enough, any vacation destination where it was possible to drop a line. 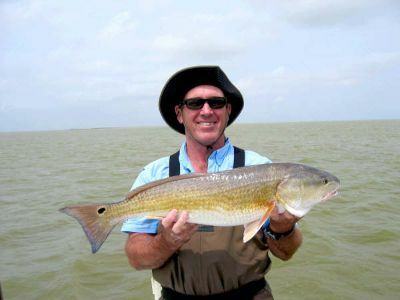 Yet, were you to ask him where he has had the most success fishing, he would undoubtedly answer Port Mansfield, Texas. In his opinion, no other locale can deliver the same breadth and quality of experience when fishing for trout, redfish, and flounder. It is this passion, experience, and as photos would indicate--results--that Captain Jack wishes to share with others.